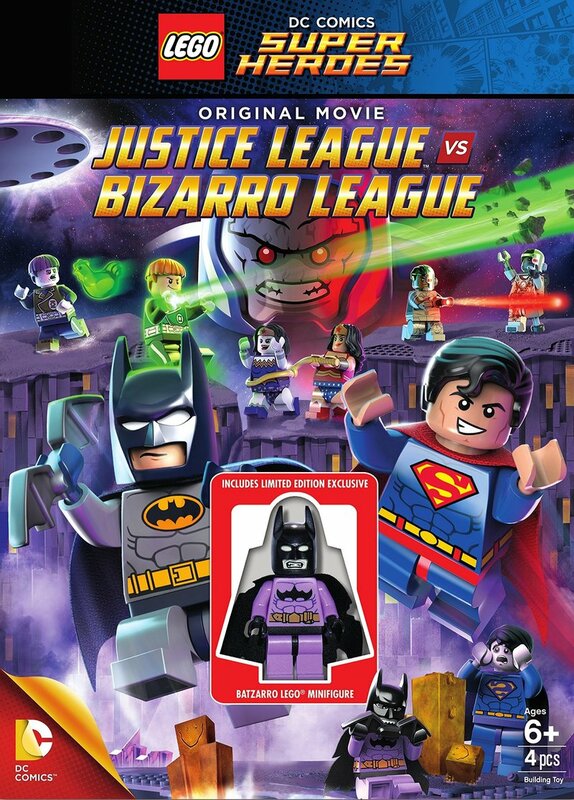 Lego DC Comics Super Heroes: Justice League vs. Bizarro League DVD and Blu-ray release date was set for February 10, 2015. In Lego DC Comics Super Heroes: Justice League vs. Bizarro League, Bizarro loses the plot once more in attempting to save some children at play who aren't in need of saving. Finally fed up, Superman intervenes and banishes Bizarro to a new world he dubs as 'Bizarro World.' Later, the Justice League find that Lex Corp has been burglarized with the duplicate ray gone missing. It is discovered that it was Bizarro who stole the device, having made duplicates of the entire Justice League. In a twist of fate, the twins team up to save Bizarro World from the inimitable Darkseid.